Uber Eats has expanded its service area in the Klang Valley in Petaling Jaya and parts of Subang Jaya. This is the first expansion for the food delivery service since it was launched in Malaysia in September 2017. 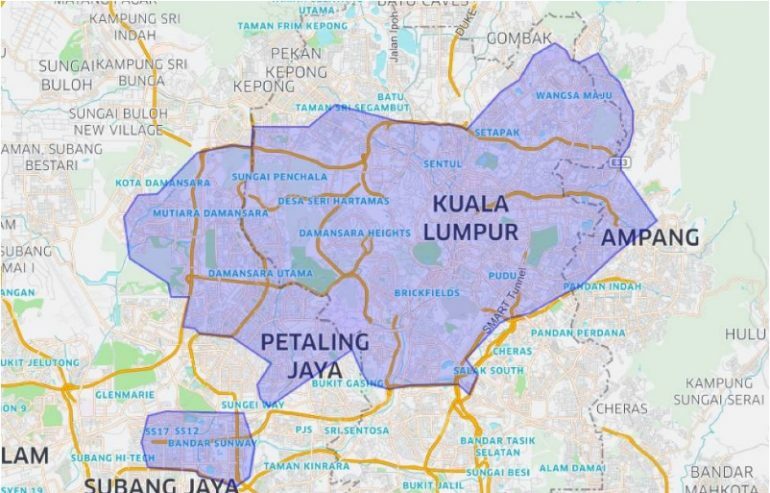 The coverage area has extended into Taman Tun Dr. Ismail, Bandar Utama, Damansara, Seksyen 17, SS2, SS15, and Bandar Sunway. Although Uber is saying that there are plans to expand more aggressively soon. That said, there’s no sign of the cash payment option that was promised to arrive in early 2018. Of course, the expansion in coverage area has also brought with it additional participating restaurants. Uber Eats is now claiming 400 eateries that are onboard with the service, up from the original 200 that it had when it first started in the Kuala Lumpur central business district. Uber Eat is available in PJ and the new areas from 9.00am until midnight each day, and expects a delivery time of about 33 minutes per order. There is a promo code for new users of Uber Eats as part of this expansion. Those new to the service can use the code PJMAKAN to waive the RM5 delivery charge for four weeks.